Mary W. Sanders was born on April 10, 1926 to the union of James and Bertha Beverly in Hale County, Alabama. She was the third of four born siblings. Mary attended Lincoln Norman Public School in Marion, Alabama. 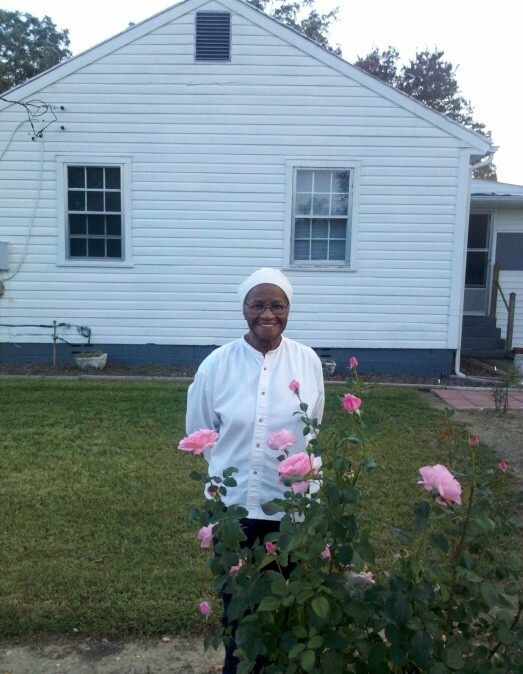 She accepted Christ as her personal Savior in her youth and united with Hopewell Missionary Baptist Church under the leadership of the late Rev. Cruz, where she was baptized. On February 23, 1945 she wed Preston O. Sanders and later relocated to St. Louis, Missouri in 1947. During her tenure in St. Louis, she was employed with DePaul Hospital and Ralston Purina, while instilling core life-lessons on to her five children. In 1998, Mary returned to her home in Marion where she enjoyed her ‘knock-out’ roses and the panoramic view from her front porch. On November 24, 2018, Mary entered into her final rest (of natural cause), in the comfort of the home where she lived since she was 13 years old, gave birth to her first child and exchanged her marriage vows. Preceded her in death were her parents, three siblings and her son, Ralph Sanders. She leaves to treasure her memory three sons, Willis O. Sanders (Tameka), Charles L. Sanders (Julie), Michael Sanders and one daughter, Jacqueline C. Sanders-Jones; Eight grandchildren, Six greatgrandchildren; Three fond nephews, Bernard West (St. Louis), Jacob Marshall (Las Vegas) and Randy Crews (Tuscaloosa) and a host of loving family and friends.